I trained in oculoplastic and facial plastic surgery at UCLA in 1983. I subsequently did another fellowship in orbital surgery at Moorfields Eye Hospital, London, England. I have been the director of multiple professional courses on blepharoplasty, endoscopic brow lifting, facelifting, laser resurfacing, and rhinoplasty across the United States. My current laboratory research is on how aging affects the eyelids. Can you give us a background of your career in cosmetic medicine? The training that influenced my entire career really began at U.C.L.A. thirty-plus years ago. Under my fellowship director we performed primary and secondary cosmetic and reconstructive eyelid and eyebrow surgery. Our particular focus was fixing complications from overdone cosmetic eyelid surgery and forehead/brow lifts. Subsequently, my practice evolved into primarily a cosmetic practice. 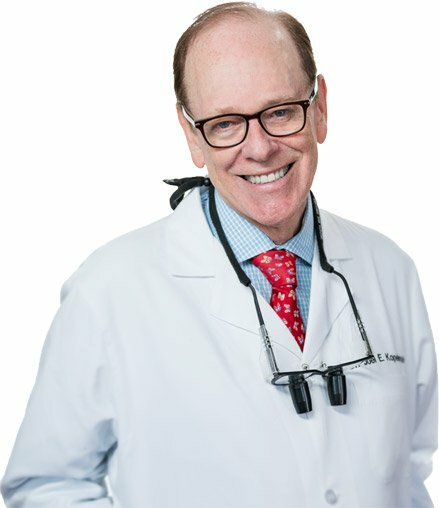 I began to incorporate facelifting techniques, chemical peels ,laser resurfacing techniques, and body contouring into my practice. I never stop learning.I bring new surgical and non-surgical techniques that offer safety and lasting benefits to my patients. I don’t jump on every new product or technique because I have learned from experience that there are fads that are not safe and have precipitated problems. Like everything else in life, experience counts. What can you tell us about your NY and NJ practices? I currently practice on Park Avenue in Manhattan in an office I share with three cosmetic dermatologists. I also have a second clinic in Northern N.J. where I have a certified surgical facility. I have four employees who include R.N.s, surgical techs who assist me in surgery as well as a board certified anesthesiologist. My New Jersey and New York practices are similar and consist of primarily women between the ages of thirty to sixty-five and men in their thirties to fifties. How do you manage your staff? I highly value my employees and generally compensate them commensurate with their training and experience. Each employee is intensely vetted prior to hiring them so I don’t usually fire anyone unless they have been dishonest or rude to the patients. What devices do you regularly use? I currently use IPL for diffuse skin pigmentation, acne and telangiectasia. I have erbium/YAG, pulsed CO2, and erbium-glass lasers that I use for skin resurfacing. I usually prefer my erbium lasers because there is a very rapid recovery time. I also use a non-invasive ultrasonic body contouring device called UltraShape Power. I like this device because it causes little discomfort compared to CoolSculpt. What marketing strategies do you employ? Word of mouth, internal marketing ”awareness”, website and Instagram. The marketing that traditionally has worked is “word of mouth” recommendations. In the past few years internet ratings and ranking has increased traffic but I have found that these patients do not always have realistic expectations. Which treatments do you consider the most popular in your practices? Facelifts, blepharoplasties, endoscopic brow lifts. I plan on performing more PRP for hair rejuvenation. I no longer perform rhinoplasty. In your many years of experience, what have you learned so far? I tell my staff “If a patient is happy when they come to see me they will be happy when they leave but if they are unhappy when they come to see me they will be unhappy when they leave”- there is nothing that I can do to change their view of the world. Lastly, what can you impart to fellow physicians in the field? Do great work, be passionate, show that you care. Patients will recognize, value and trust your service, see you as their medical guardian, and appreciate you as an outstanding physician and surgeon. You don’t have to wave a flag - your actions will speak louder than words. Is your aesthetician your MVP?